It is predicted that by 2050, 22% of the world's population will be over 60 years of age. This rapid shift in demographics calls for the development of coherent and forward-looking policies to address the many challenges which will inevitably arise as a result. This book presents 33 articles from the workshop jointly organized by APEC and OECD held in Waseda University, Tokyo, Japan, in September 2012. At this workshop, a group of international experts described a wide range of important issues associated with an aging population, and discussed how both governments and the private sector can best mobilize innovation and research to transform this global challenge into an opportunity for active and productive aging and new sources of sustainable growth. The authors call for a comprehensive approach to achieve policy coherence, as well as for strengthening public-private partnerships and promoting collaboration among multiple stakeholders and systems. 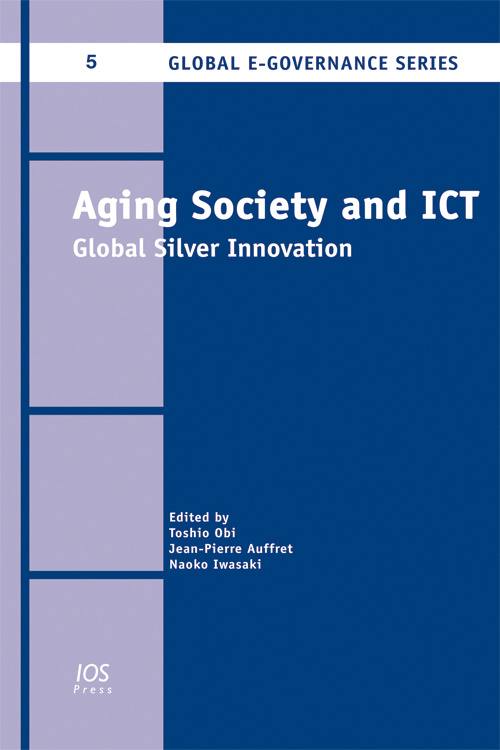 The book is divided into six chapters, covering such subjects as lessons learnt from best practice, solutions for the aging society, policy initiatives, health innovation, smart communities and new services. Innovation will be necessary to meet the challenges and to mitigate the health, social and economic impacts of an aging population worldwide, as well as unlocking the potential of ICTs through increased research and new models. This book will be of interest to all those whose work involves the development of new services for older people in sectors such as health and nursing care, education and training, transportation, community development and smart cities, among others.